We have performed a Density Functional study of the CO adsorption in B-doped, N-doped and BN-co-doped graphene considering a coronene based model in order to estimate the applications of this systems as CO-sensor. Different monosubstituted, disubstituted and trisubstituted alternatives of combining these two heteroatoms in a substitutional chemical doping and the influence of the relative positions of the heteroatoms are analyzed. In this study, the stability selectivity for CO adsorption and the change in the electric properties for the presence of this molecule, have been evaluated through the calculation of binding energy, CO-adsorption’s energy and the gap HOMO-LUMO change due to CO adsorption. The results indicated that, even though all the configurations were stables and was confirmed a CO physical adsorption in all of them, the relative positions of Nitrogen and Boron gave different stabilities and different responses to the CO adsorption. Since monosubstituted Boron-coronene was the second in stability respect to pristine coronene, showed the highest CO adsorption energy and was also the second highest ∆(∆HOMO-LUMO) value, this structure could be potentially a good CO-sensor. We thank the Programa interno de apoyo para Proyectos de investigación (PIAPI)-Facultad de Estudios Superiores Cuautitlán–Universidad Nacional Autónoma de México with Grant PIAPI-1813. We gratefully acknowledge the generous computing time provided by Dirección General de Cómputo y de Tecnologías de Información y Comunicación at the Universidad Nacional Autónoma de México through the Grants LANCAD-UNAM-DGTIC-156. 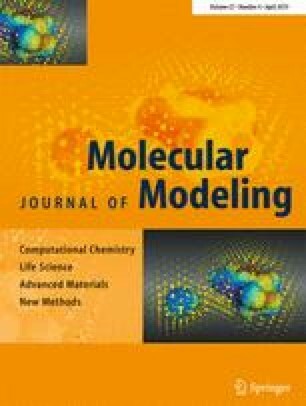 The authors also thanks Red Mexicana de Fisicoquímica Teórica (CONACyT).